Sail Outdoors, Inc., which has plans to expand its outdoor superstore concept in Quebec and Ontario, secured a $60 million senior secured credit facility from Wells Fargo Capital Finance of Canada. 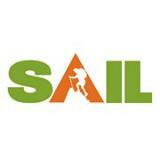 Founded 40 years ago, Sail Outdoors said it will use the facility for working capital and general corporate purposes. Headquartered in Laval, Quebec, the company operates nine outdoor, camping, hunting and fishing stores in Eastern Canada. The companys mission as on is to become Eastern Canadas Outdoors Superstore by offering the largest choice of brand-name products at incredibly competitive prices. It opened a 70,000-square-foot store – its fifth store in Ontario – in Etobicoke in the suburbs of Toronto in November across the street from a SportChek and Wal-Mart. Each Sail Outdoors store stocks 500,000 items and displays 20-50 fully assembled models of tents (depending on the season), 40 models of boats (kayaks, canoes), 3,500 pairs of snowshoes, 1,550 models of fishing rods, 500 models of boots and footwear, a wide selection of apparel. The stores employ more than 100 people. It is never easy to put a new credit facility in place, however, Wells Fargo did it with professionalism and a dedicated group of people, making the process so much more efficient and pleasant, said Daniel Desmarais, CFO of Sail Outdoors, Inc., which operates nine stores. Sail is very pleased to start a new relationship with Wells Fargo and its team.